Health service policy and health policy have changed considerably over the past fifteen years and there is a pressing need for an up-to-date sociological analysis of health policy. Not only have policies themselves changed but new policy themes - such as evidence-based policy and practice, an increasing focus on a primary care led health service, a growing recognition of the need to address inequalities through public health policies and a focus on the views and the voice of the user and the public- have emerged alongside some of the old. 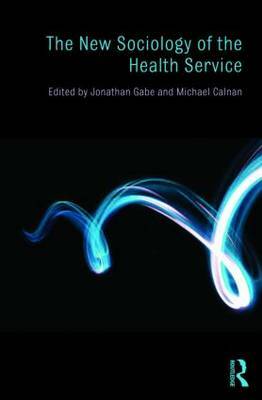 Following up the very successful The Sociology of the Health Service, this all-new volume covers a broad range of key contemporary health services issues. It includes chapters on consumerism, technology, evidence-based practice, public health, managerialism and social care among others, and incorporates references to new developments, such as regulation and incentivization, throughout. The New Sociology of the Health Service provides a vital new sociological framework for analyzing health policy and healthcare. It is an important read for all students and researchers of medical sociology and health policy.